A team of engineers who helped decode archaic NASA data has moved onto hardware, and is trying to find the cash to recapture the International Sun/Earth Explorer 3 (ISEE-3) probe – the first spacecraft to pass through the tail of a comet – as it swings by Earth. ISEE-3, launched in 1978, was the first man-made object to be stationed at one of Earth's five Lagrange points – orbits where objects can be held steady by the competing gravities of the masses in the Solar System. The solar-powered probe was put between Earth and the Sun to monitor the magnetosphere and provide an early-warning station for solar storms heading our way. In 1983, NASA decided to repurpose the probe as a comet hunter. Halley's Comet was making a flyby of Earth in three years' time, and the agency didn't have the funds for a new mission to study it. This was a little embarrassing, since the Russians (with French help) and Japanese were sending two probes apiece, and the European Space Agency's Giotto spacecraft was also making the trip. However, a brilliant NASA orbital mathematician named Robert Farquhar worked out that with a few nudges from the probe's thrusters and the use of the Moon's gravity, the spacecraft could be shifted to meet not only Halley's Comet, but also pass through the tail of Comet Giacobini-Zinner a year before its more famous cousin arrived. NASA bought his plan, and the spacecraft was renamed the International Cometary Explorer (ICE) and sent off to its cometary rendezvous. This caused some friction with the original ISEE-3 team, but Farquhar said that the orbital path he had planned would mean they'd get it back once its new job had been done. "They thought that – it was in the newspapers, even – that we stole their spacecraft," Farquhar told NPR. "We didn't steal it; we just borrowed it for a while! That's what I tried to tell them. OK, so we took it away in 1983 and you get it back in 2014. How many years is that? Oh, that's about 31 years." That was too long for NASA to pay for, however. 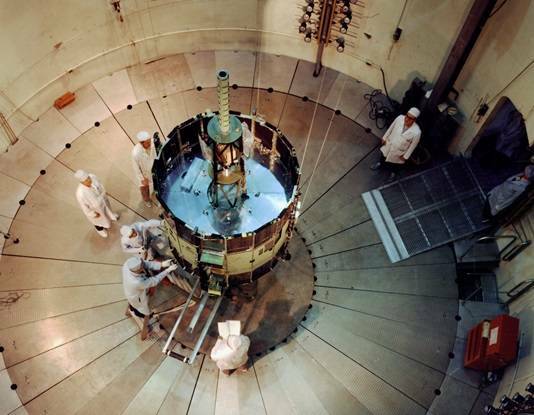 The probe got a new job of studying coronal mass ejections as it slowly approached Earth, but in 1997 the agency ordered it to shut down all instruments except its carrier signal, and donated the craft to the Smithsonian Museum. Two years later NASA picked up the spacecraft's carrier signal and (briefly, it thought) powered up ISEE-3 for a systems check. In 2008 the probe was picked up again, this time by NASA's Deep Space Network communications grid, which discovered that the probe hadn't powered down in 1999, and all but one of its 13 instruments was still collecting data. NASA looking into reactivating the spacecraft, but concluded it wasn't financially feasible to do so – all the communications equipment to get in touch had been junked back in 1999, and replacing it would be hugely costly. But then a team of self-described technoarcheologists got involved. In 2007, NASA and a group of private engineers headed by Dennis Wingo, CEO of spacecraft designers SkyCorp, formed the Lunar Orbiter Image Recovery Project to recover data once thought lost from the agency's archives. The group wanted to recover the first detailed images of the Moon's surface that were collected between 1966 and 1967 by five NASA Lunar Orbiter probes. These camera-equipped probes mapped out 99 per cent of the body in preparation for the Apollo landings and sent the data back to Earth. 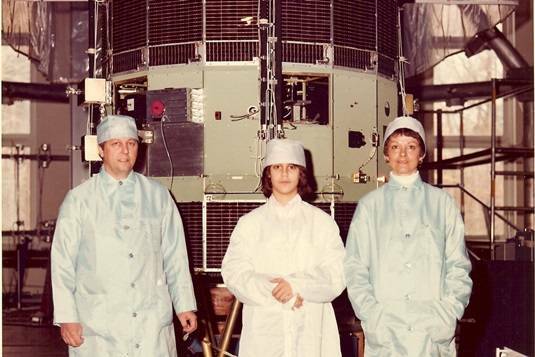 The images had nearly been junked in a fit of spring cleaning in NASA's data repositories, but archivist Nancy Evans persuaded the agency to put the 48,000lbs of tape into air-conditioned storage and stashed three of the Ampex 900 reel-to-reel tape machines needed to play them at her home in Los Angeles. The wealth of images has now been largely recovered and are now online. They include not only shots of the Moon, but also images of Earth that are precise enough for the then-size of the polar ice caps to be measured. 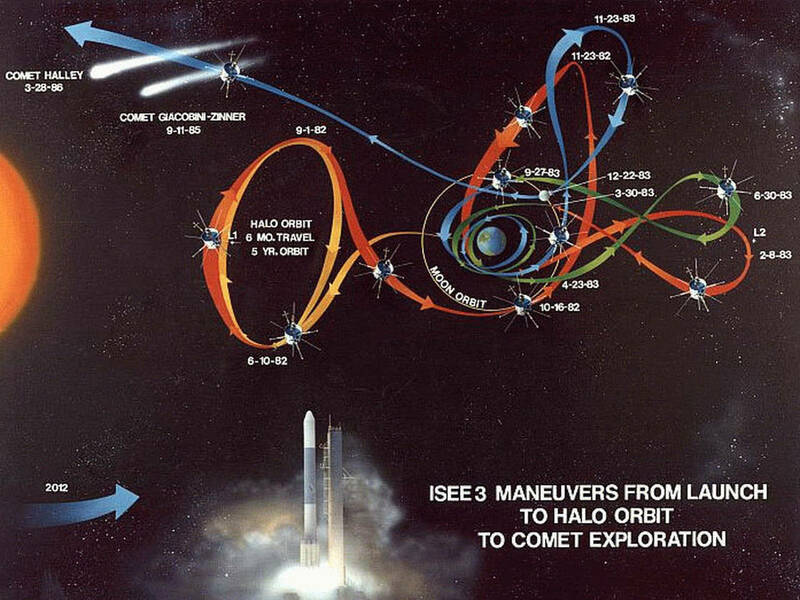 But when Wingo and his team heard about the approach of ISEE-3, they decided to get involved. Team members at Morehead State University in Kentucky, working with German amateur satellite enthusiasts, picked up signals from the approaching space craft and determined that Morehead's radio antenna will be able to contact the craft. Their only problem is that the team need to find the original command codes to control the spacecraft and write virtualization software that mimics the original hardware design. If contact can be established, the remaining propellant in the spacecraft's tanks can be used to kick it into its original orbit, and resume its primary mission. NASA's Farquhar has come out of retirement to work with the team, and NASA is helping the amateur technoarcheologists as much as it can. But time is tight – if the signals aren't sent by mid-June, the ISEE-3 could be out of our reach for good. The team thinks it can do the job for $125,000 to cover the costs of writing the software to communicate with the probe, searching through the NASA archives for the information needed to control the spacecraft, and to buy time on the dish antenna. So far they are about a quarter of the way there, using an appeal on the Rockethub crowdfunding website. It's hoped some Silicon Valley moneymen could be persuaded to help put one of mankind's pioneering space explorers back to work, but time is running out.